When I last mentioned ABIR Architects, it was with respect to the firm’s work on George Williams House. 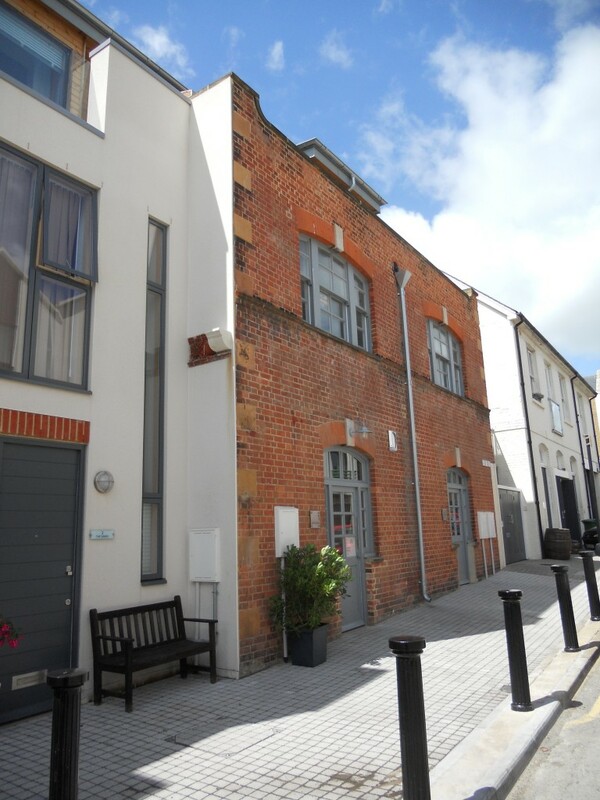 I recall being particularly impressed by the development, on George Williams Mews in Portslade, and, indeed, by their offices on my favourite mews in Hove, Wilbury Grove. ABIR has now moved to another Hove mews with which I am familiar, St John’s Road. It was known in its early days as Palmeira Mews Road and is one of several wonderful mews roads in the area. I should know, I often use them to test taxi drivers who are bold enough to claim that they know all of the roads in the city. Models of buildings and a Pantone Orange 021 C cup instantly suggest that the newly-converted office is inhabited by a firm of architects. Although ABIR was not involved with the development itself, the firm did influence finishes as one might expect. 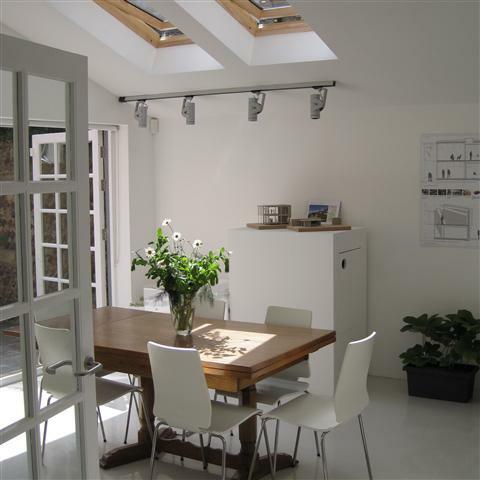 Suspended ceilings and strip lights were avoided in favour of lintels on display and Ridi lights. Almost everything is white except a rather distinct 3mm thick silver-grey poured resin floor and exposed galvanised steel conduit. As a fan of ABIR, I know that each of the four directors brings so much more to the table than just the first letter of their surname. I am fully aware of the work of Simon Atkins and Ollie Blair, at 1a Whichelo Place and at Brighton Housing Trust’s premises on Oriental Place respectively. Indeed, the latter was the subject of a coveted Sussex Heritage Trust award. Also, the Whitehawk Inn and George Williams House projects – by Giles Ing and Matt Richardson respectively – have been the subject of column topics in their own right. St John’s Road has long associations with the motor industry and ABIR’s new office at No. 22a once served as a car workshop. 22a consists of two matching red-brick buildings (presumably Victorian but recently named Alpha House and Beta House) and between them is a modern infill consisting of two slim houses (Nos. 1 and 2 The Sands). There were certainly applications in 1925 and 1928 for the site from a motor engineer called Mark Phillip Stoneham to store petrol on the premises. The numbering system on the road is indeed quirky which can be explained by the way in which development has progressed over the years. Much harder to explain is why there is no plural of ‘mews’.